After completing a comprehensive two-hour tour of Charlottetown, PEI, we went looking for a game of Bohnanza to offer as a gift to our hosts. Between the two gaming stores in Charlottetown, one had the fan edition of the game, which we bought along with Monty Python Fluxx. As we were leaving, I spotted a tempting box: the Dungeons & Dragons Roleplaying Game Starter Set. The price was $20. Elvi and I met because of a AD&D campaign we joined, and we played for six years, until our young spawn became too numerous and antsy to allow us the hours required for a session. When we quit, the AD&D world was in its second edition; our collection of books, modules, and knickknacks filled a bookcase. Since then, AD&D has reverted its name to D&D and upgraded its mechanics to fourth edition, an entirely new system – and the one in this boxed set, with characters and adventure ready to go. I had to buy it. Once I bought it, the family and our hosts had a plan for rainy days. As a DM, I have to say that this edition is much easier to play and manage after adjusting to the new rules. The rest of the group had never played before but Elvi was little bit amusing as it took her longer than me to adjust to the new rules, like the fact that Magic Missile no longer hits automatically. I’ve downloaded some free low-level modules, and maybe we’ll get the full-fledged rule books. I’m not sure I like the plethora of player character races, but meddling can wait a while. For now, it’s great to have found an activity a family of geeks of varying interests can enjoy together. Back in the ’90s, I created a virtual version of 101 Squadron in Warbirds. 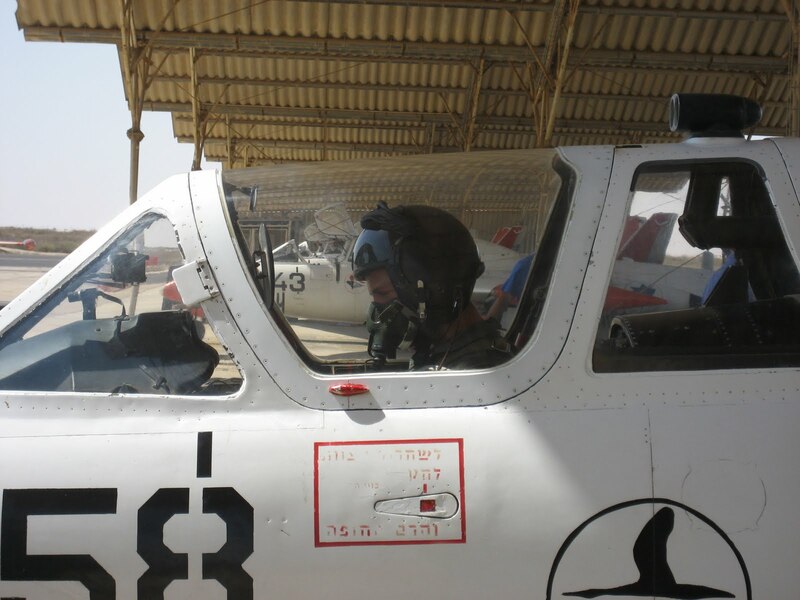 One of my recruits, Flyboy, was a 12-year-old Israeli boy who under my tutelage went from turn-and-burner to a master tactician who more often than not bested me in a fair fight (but why fight fair?). The squadron died out as WarBirds players left for other games and I haven’t kept in touch with most of my squaddies. I knew Flyboy wanted to try for flight school when it came time for his military service. It’s been a few years since i last heard from you. A few days ago, I had a chat with Viff and your name came up, so I decided to pop up and say hi. A lot has happened since we last talked. After I left Warbirds, I played Aces High for a few years. 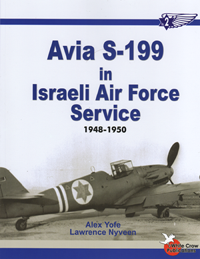 Several Israelis played it and the 101 lived and became a powerful force but, same as WarBirds, people started leaving Aces High and eventually I found myself alone. That was around five years ago, and several months later I got drafted and started the IAF flight course. 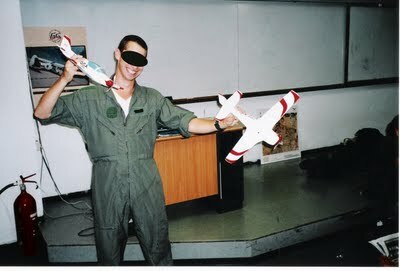 I did quite well and was selected to attend fighter-pilot school. After a year and a half, the air force kicked me out of the course but left a window open if I ever wanted to come back. I decided to leave the air force and went to infantry. I joined one of the elite reconnaissance regiments and in May 2007 finished my training and became operational. After about half a year, I went to the officer academy and I’ve served as an officer in my unit for more than a year. I havent given up on my flight obsession. I started doing paragliding and kept my account open in Aces High. 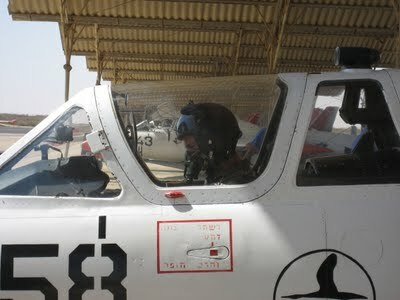 A few months ago, I contacted the IAF and told them I want to come back and finish what I started. This week I got an answer: they said OK! If all goes as planned, I’ll be back there in January. There are a lot of great guys I’ve met in the virtual skies I regret I haven’t kept contact with. I guess the intensity of the army and lack of free time contributed to it. I must say I think that you have some responsibility for my choices. I still remember my first days in the virtual world when you taught me the basics of everything. I was 12 years old then (I turned 23 on Nov. 5) and that experience still lives in me. I remember sitting in the tower and listening – well, reading the text – and not understanding how a plane can both climb and accelerate at the same time. I remember learning flying in wing formation for the first time, working as a group and as a squad. I must say I feel like I’m closing a circle here, and in a way this is my way of saying thank you. I hope my message finds you well and in a good shape. Great to hear from you. Thanks so much for the warm letter. I still fly WarBirds once in a while but like you wrote, life gets in the way. I’m glad things are working out for you and I’m jealous that you’ll be getting to fly a real airplane. I get to fly my dad’s Cessna 182 once every two years or so but he doesn’t like when I pull G on the turns. Do you have to start over from the beginning or do you pick up near where you left? I keep in touch with Viff every once in a while – we’re Facebook friends. Keep in touch. I’d love to hear what happens. I’m restarting the third phase of the course, which takes place just after the first year of three. It’s where all the basic flying is done: aerobatic; low-level navigation (300 ft); instrument flying; night flying; soloing; formation flying; and basic air combat. I’m really looking forward to getting inside a plane again. although I barely remember anything. I solved the level for Act 3 Spring, a.k.a. 3:6, of the Auditorium demo once I stopped trying to split the beam (or “flow”, in Auditorium parlance). Have one large attractor (“attract control”) pull the entire beam through the yellow filter (“color sphere”) and then counterclockwise to the right through the lower yellow amplifier (“container”). Place the left arrow (“directional”) so that it pushes the beam as it enters the three o’clock position and make it large enough to keep pushing the beam more or less on a straight line leftward through the upper yellow amp. If done properly, the beam will continue to the left, pass through the blue filter, and through the rightmost blue amp. Set the second attractor so that it takes this now blue beam and curls it clockwise through the other two blue amps. The beam will naturally pass through the red filter and trigger the red amp when you do this. There’s actually one more level after 3:6, but it’s inconsequentially trivial; all it does is show off a rabbit button, which speeds up beams.